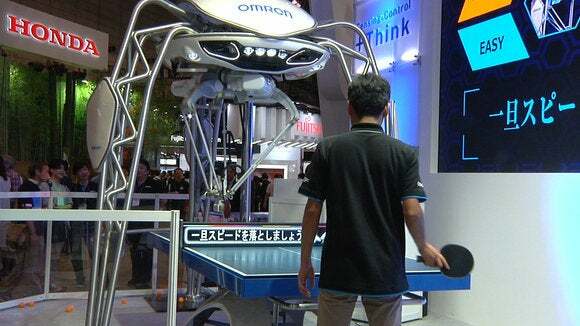 Omron's table tennis robot is getting smarter. 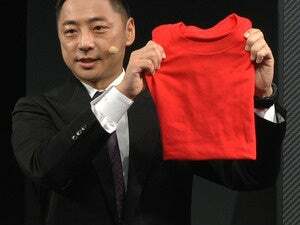 At this week's Ceatec electronics show in Japan, the company has unveiled a new version that uses machine learning to assess the strength of an opponent and ramp up its game accordingly. The robot, named Forpheus, was first shown at the event in 2014 to impressive reviews. A series of robotic arms manipulate a table tennis bat, guided by cameras that watch the ball and predict where it's going to land. 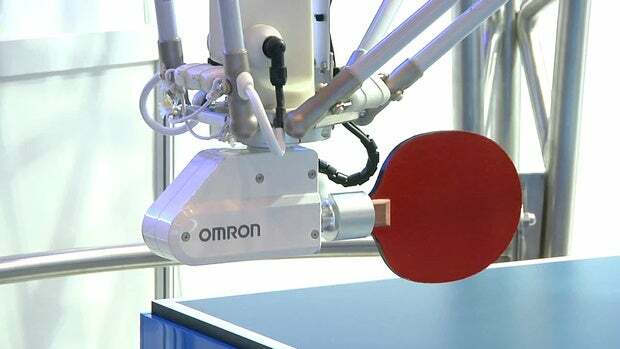 Omron developed the robot to promote the company's sensor technology and this latest version is showing off some of what can be done when sensing combines with machine learning and artificial intelligence. 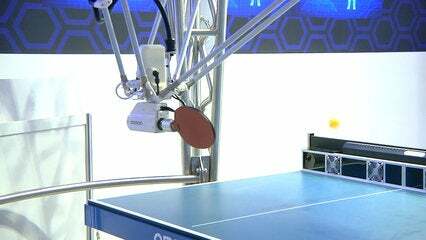 Omron's Forpheus table tennis robot demonstrates its skills at Ceatec Japan on October 4, 2016. As soon as a human player serves a ball, the robot begins ranking the player according to their perceived skill as a beginner, intermediate player or advanced. It looks at the speed of the served ball, its trajectory, rotation and the body motion of the player to determine this, and does so with 90 percent accuracy, according to Omron. The machine uses that information to customize its return ball, softer and easy for beginners, faster and more unpredictable for advanced players. The use of artificial intelligence has also improved the robot's game. Its returns are now accurate to within 5 centimeters -- twice as accurate as the previous model.